How would you like to pursue your passion as a career? No, this isn’t an ad for some quick fix product. 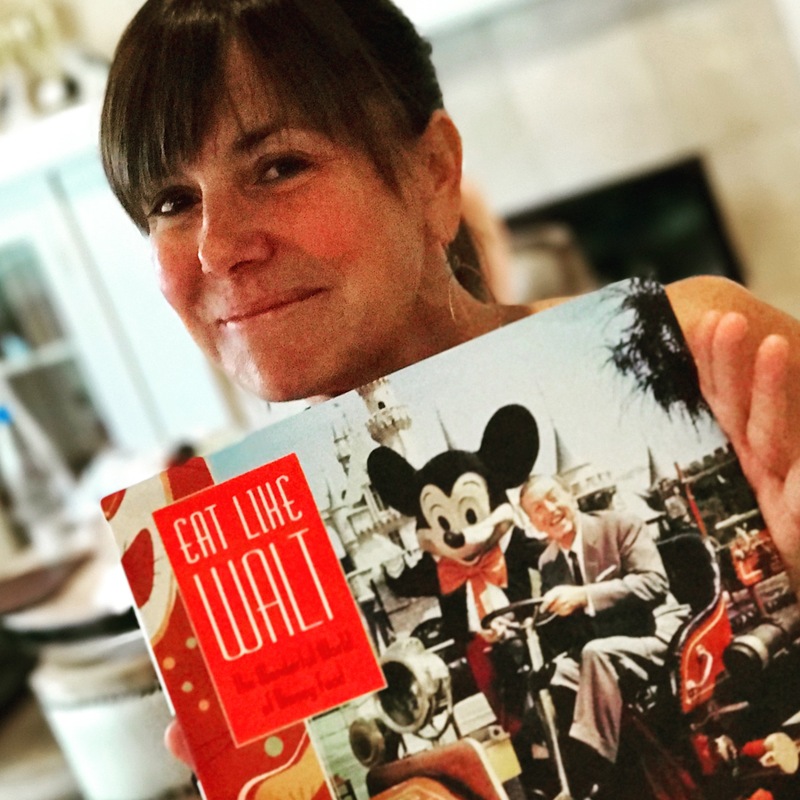 Instead, it’s our exclusive interview with Disney foodie extraordinaire, Marcy Carriker Smothers who wrote the book Eat Like Walt. Her passion for both Disney and food fueled this project of love and it shows! You can feel the heart she put into each page of the book. If you’re a fan of Disneyland, Walt Disney, or just an interested foodie, you need to read Eat Like Walt. If you’re a fan of all of them, you probably already do. Marcy was kind enough to share her thoughts with us Disney Nerds. Thank you so much for doing an interview with us, Marcy! I’m sure our Disney Nerds will love to learn more about you and about this wonderful book. While this is your first Disney book, you are absolutely no stranger to the food world. Author, podcast and radio host, and featured writer, you’ve done it all! How did you become interested in this field in the first place and what was your first professional job in the food world? You’re welcome! Thank you for sharing your excitement about my book with your readers and followers. I came to love food by learning to cook because my mother didn’t cook. We ate a lot of TV dinners and not the good kind, Swanson with a dessert in the middle – we got the cheap ones. In 2003, I was asked to host my own daily radio show in Sonoma County. Guy Fieri was a frequent guest. We vowed to do a show of our own and so Food Guy and Marcy was born. After that I continued to do food radio until I quit to research and write Eat Like Walt full-time. Where did your love of Disney come from? And what about your love of food? As a child, going to Disneyland was always my favorite day of the year. Disneyland still is my favorite place. It really is the Happiest Place on Earth and everything tastes better there. My love of food keeps evolving. I call myself a “food explorer.” Food and Disneyland are among my most favorite subjects. The book is so well written and you obviously have a passion for Walt and Disneyland. With so much to draw from how did you decide to structure the book? I love that it moves through Walt’s love of food in all different aspects of his life. Yes, I have a deep passion for Disneyland and Walt. My proposal was for the culinary history of Disneyland, however after I sold the book to Disney, and spent time in the archives and interviewing people that knew and worked with Walt, I knew I had two new and very important chapters to include: Walt at Home and Walt at the Studio. When it came time to Disneyland, I always had it organized by the six lands going clockwise, beginning with Main Street, U.S.A., which is a land in its own. How in the world did you get such rich resources for the book? 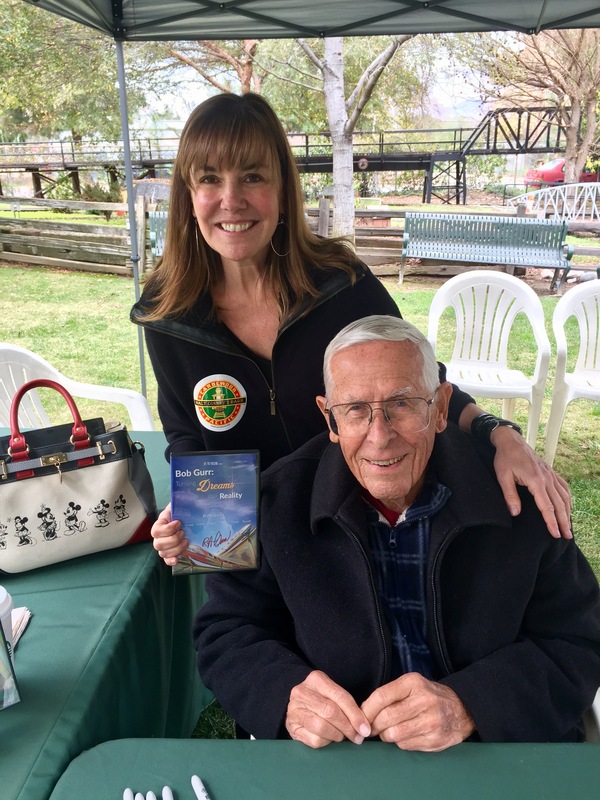 I was especially impressed with all the personal stories by Walt’s family, the handwritten note by Walt himself, and the great pictures featuring Walt in such personal moments. Walt’s granddaughters were very helpful. As was their dad, Ron Miller. They allowed me to use assets from the Walt Disney Family Museum, including the handwritten list Walt wrote of his favorite foods for his cook Thelma “Fou Fou’’ Howard. Many of the photos came from the Walt Disney Archives and Photo Archives. The concept art came from the Walt Disney Imagineering Archives. I chose every image that is in the book myself. 90% of them had never been published before. There was an article on Huffington Post about your book and you mentioned doing a sequel about the development of food at Project X to Epcot. What is the biggest challenge in doing that particular book and how will you structure it? Are you planning on doing a book on the cuisine of the international parks? Since that article, I have switched gears. There is more left for me to do at Disneyland. That’s about all I can say now. You’ve shared a lot about Walt’s favorite foods, but what are your favorite theme park treats? What are your “must eats” at Disneyland and Walt Disney World? What might be a hidden treat that people need to know about? And where is your favorite Disney place to eat? 4) Cheeseburger with lettuce wrap at Country Bear AND must sit upstairs in the back corner. Walt would have loved the view of the expanded train track along the Rivers of America plus seeing his Mark Twain Riverboat and Columbia sailing by. 6) There’s a secret menu item at the Stage Door Cafe: Fried Mozzarella Sticks with Marinara Sauce. As for Walt Disney World, I haven’t spent enough time there to have favorites. And please, all of us nerds, always say WALT Disney World and never abbreviate to “Disney World.” As Roy famously said, “There would be no Disney World without Walt.” Calling it “Florida” is just wrong, too. We must unite and protect Walt’s legacy together. Thank you so much for taking the time, and I am DEFINITELY looking forward to your next Disney book! Thank you, Craig. The best part about writing about Walt and Disneyland is meeting fellow enthusiasts and nerds like you! Be sure to pick up Marcy’s extraordinary book Eat Like Walt at a bookstore near you or through online retailers like Amazon.com. You will not regret it! Curious about the book itself? Read my full book review and learn why I have already declared this a top 5 book for Disney Nerds in 2018! 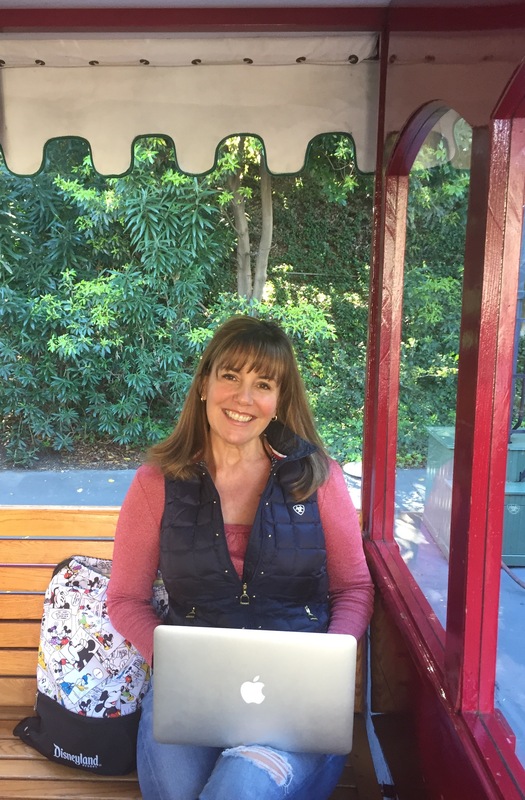 Want to meet Marcy or get your book signed? She will be at the El Capitan Theater Studio Store in Hollywood on Feb 3 along with some other amazing Disney authors from 12-2pm and then again at Disneyland on Feb 14. She’ll also be an honored guest at the Eat Like Walt Dinner on 2/17 where they will feature food inspired by her book. Very nice interview. I have to start working on those top 5 Disneyland foods, they sound great. I’m glad you liked it! Hope you liked the book as much as I did.